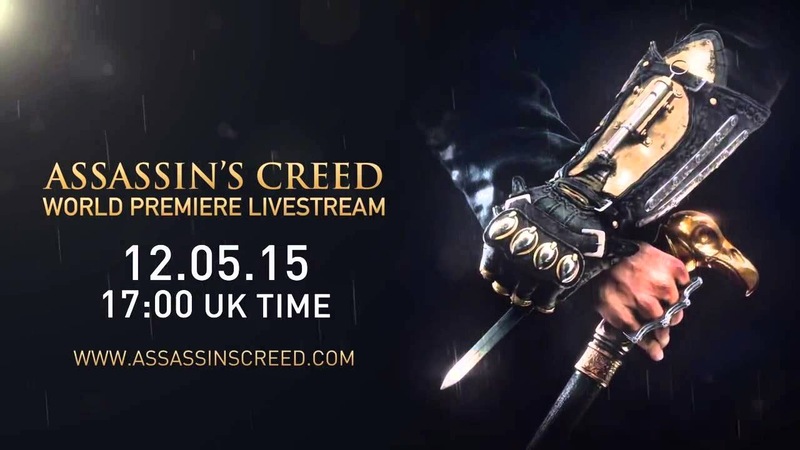 Dr Jengo's World: Another year.. Another AC Game..
2015's Assassin's Creed game is due to be revealed..
Asssassin's Creed Victory, or very likely.. Assassin's Creed Syndicate World Premiere Livestream is just a few minutes away.. The Teaser Trailer, with the tagline, "Oppression has to end.." has revealed the new Hidden Blade and some fancy knuckle-dusters which will make for some amazing replicas.. Already, the Internet is streaming with rumours and reports.. If they are to be believed, the main protagonists will be a male & a female.. apparently siblings. And we already know that the setting will be in Victorian London. Not sure if it's series fatigue or just the disappointment of AC Unity, but I'm not super excited at the moment. But if you think that I don't care for the AC Universe anymore, you are absolutely wrong..
1 disappointing game isn't going to throw me out of the franchise. As much as AC Unity disappointed me, I really enjoyed the new gameplay mechanics in it. If Ubisoft can touch up on the gameplay mechanics and give more focus to the plot, then we will have a much better game than AC Unity. Whether we will see actualy gameplay or a beautiful CGI trailer remains to be seen.. I may not be that excited.. but come on Ubisoft.. excite me!